Book Adventures: Fetch! by Adam Glendon Sidwell & an Evertaster Giveaway! Fetch! 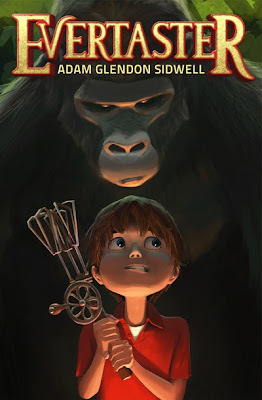 by Adam Glendon Sidwell & an Evertaster Giveaway! Check out the Kickstarter for the illustrated book, Fetch, written by Hollywood visual effects artist Adam Glendon Sidwell, author of the novel Evertaster and its sequel The Buttersmith's Gold! Look below the video for details on how you can win Adam's first book, Evertaster!. Click here to visit the Kickstarter page to learn more & help get this book created! Wanna help an awesome author and have a chance to win one of his books? There are three ways to win! See the Rafflecopter form below for how you can enter to win an autographed copy of Adam's middle grade culinary fantasy Evertaster! Giveaway open to US residents only. Ends Sep. 22, 2013 @ 12AM EST. Click here for my previous post on Evertaster--a guest post from one of the characters including a recipe! This is so great! Thanks for posting. Crossing my fingers! Looks amazing!